Using ozone as a fumigant in grains has been researched and studied widely. Practical application has been limited mostly due to the unknowns that still exist about this application. Ozone can definitely keep insects from infesting your grain if used all the time. Low levels of ozone gas (0.1 ppm or below) used at all times will keep insects out of your grains, and other produce as well. The use of ozone for food storage and insect control in this manner is proven and successful. In grains ozone gas can be added to already existing airflow through the grain to keep insects from damaging your grain. Once your grain as been infested with insects it is more difficult to eliminate them. High levels of ozone are required to kill these insects. This is shown in research done by Purdue University and others. The levels of ozone required should be scrutinized to ensure this is a cost effective application, and that all safety precautions are taken. 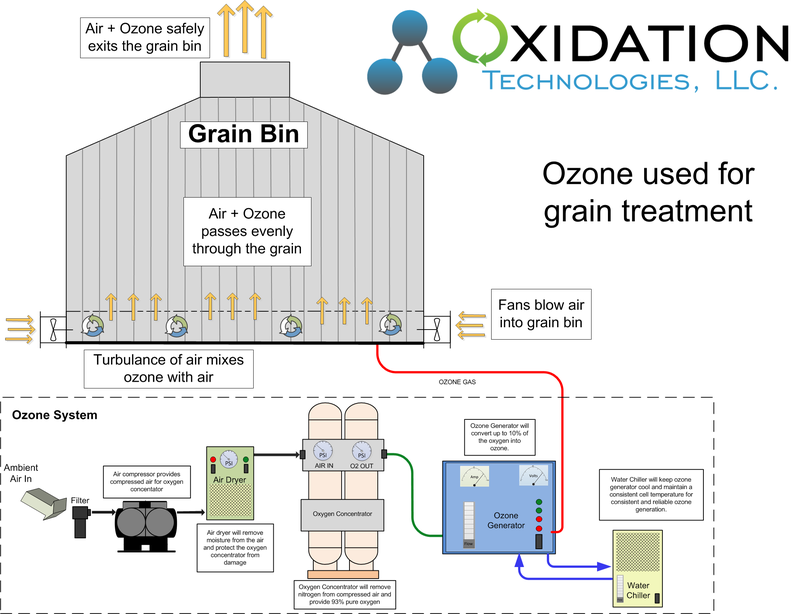 See products below applicable to ozone treatment for grain treatment. For questions on how to implement ozone into your application call our ozone application experts.